For the beginner watchmaker, we offer this affordable 4 piece tool set. 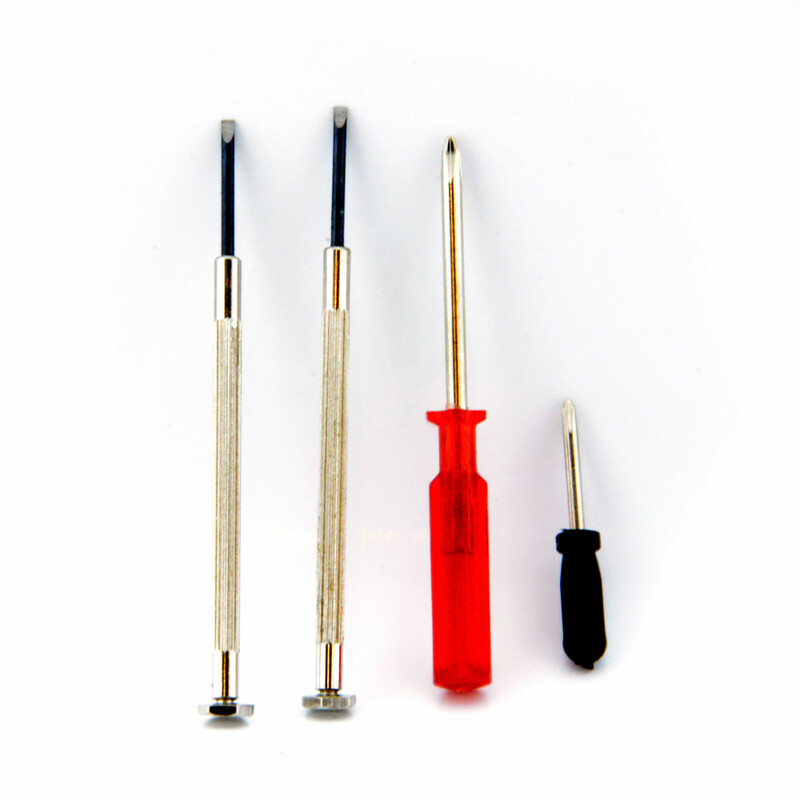 The following tools are included: 2 screwdrivers with flat blet. +- 7cm. 2 Phillips screwdrivers. +- 6,5cm and 3,3 cm. Watchstraps-batteries certainly processed my order in a fast and very well documented way. I received emails regarding the item and with photos, along with the shipping details. And soon enough the item was delivered in good condition. I will be ordering here from now on, and will most definitely recommend it.